Ugandan Police are hunting for a man after the shocking discovery of the body of his girlfriend in his apartment. 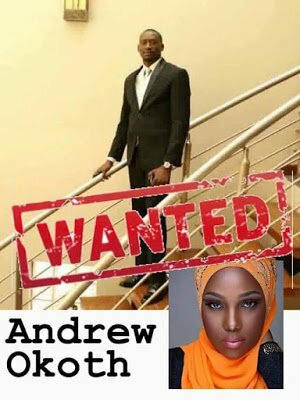 A man identified as Andrew Okoth, is currently on the run after Police operatives reportedly discovered the body of his girlfriend who is an employee of Tropical Bank of Africa, Kampala, Uganda in his apartment. A Police source who disclosed that the victim identified as Fahima Natoolo, pictured (above) with Okoth at an event on Saturday, July 29, was murdered the following day, adding that Okoth had asked her to spend a night with him at his home in Mbalwa Nabwojjo, a Kampala suburb. The discovery of Natoolo’s body follows a missing person query posted by a friend on Facebook. 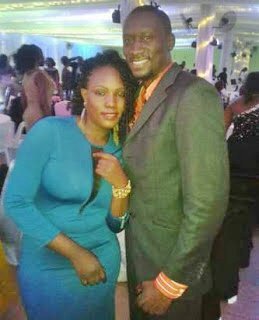 “They were last seen together at Red i Bar in Lugogo UMA Showgrounds on Saturday, nobody has seen or heard from them since,” Natoolo’s friend said. The man’s neighbor who allegedly witnessed the two fighting on Sunday morning, gave directions to Natoolo’s family members who went with Police and upon breaking the door to his house, discovered the body in the house. He is still on the run and police have declared him wanted. VasTutNet точка ru удалим негативные отзывы о Вас,разместим положительные,Спецалист по удалению плохой негативной информации в сетиудлаим отрицательные отзывы о Вас Удалим всю негативную информацию ,разместим положительные отзывы.Привлечение трафика аналог яндекс директа и гугла Агентство репутации Вастутнет VasTutNet точка ру!